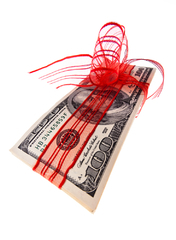 Taxable gifts often get misunderstood. At most times, individuals are not aware that they have given someone a gift and little do they know that the gift is liable to taxes. Simple ways like adding a name to a deed, specifying a name to a savings account or investment account, or naming a deed of a property to a child will sometimes make gifts taxable. So as an additional confusion, not all the said instances will result to taxable gifts. It would entirely depend on the rules and laws of the state where you live or where the property is located. Upon knowing that you made a taxable gift, you should file a gift tax return (Form 709 – United States Gift Tax Return) with the Internal Revenue Service (IRS). While in most cases that an individual makes a taxable gift beyond his knowing, the IRS has a way to find it out. The IRS has been teaming up with county assessors so that they can track property transfers made by individuals. With knowledge of the transfer, the IRS now sends a letter to the taxpayer asking for more information about the transfer. If in case the taxpayer does not respond at all, the property will be appraised. The IRS will then send the taxpayer a notice of deficiency if the value of the real-estate is above $1,000,000. Every year you would give someone gifts that may not be taxed, this is because of tax exclusions on some gifts. There are gifts that are excluded from taxes. Gift tax exclusion 2011 includes gifts to your spouse, gifts to political organization for political purposes, gifts amounting to less than the limit ($13,000 for single filers and $26,000 for married filers), and gifts for medical and educational expenses. If you are sort of a charity oriented person and looking for partial tax deductions then a charitable gift is great for you. You can make donations through a charitable gift annuity. This is a type of Planned Giving that involves a contract between the donor and the charity. This can be done by the donor to enjoy a lifetime flow of income from the charity aside from tax deductions. The donor will transfer cash, property and the like to the charity of his choice and when he dies the gift still remains with the charity institution. During tax seasons, we pay of course taxes and we expect some to be refunded. We may also get tax refund advance in anticipation of the amount that we might get. This is done through loans from participating lenders. This may not be a practical way to get extra cash because getting these types of services will cost you a considerable amount. Usually tax preparers charge very large fees just for the service of preparing the strenuous paperwork for you. One way to avoid the strenuous process of business management and tax preparations is through family wealth management offices. These offices offer a wide variety of services such as wealth transfer services, tax services, budgeting, and even charity giving services. They operate with comprehensive databases, consultants, and analytical tools to assist them in the services that they provide for their clients.